Grade 4 students had an all-day tour of Lithuania's sites of importance to the restoration of the Lithuanian state. Students had a chance to visit Gediminas Tower, Cathedral Square, Seimas, and the TV Tower. Three teams debated on the topics such as "Should zoos be banned? ", "Do video games cause violent behavior? ", and "Why should students wear school uniforms?" AISV senior student got nominated among the 11 students from all Vilnius schools to receive a special recognition and award of Small St. Christopher on March 11th in Vilnius Town Hall. The American International School of Vilnius is an IB World School that offers the IB Diploma Programme to students in the final two years of high school. 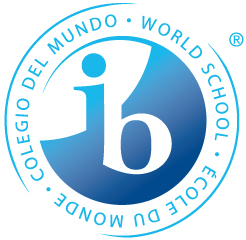 IB schools like ours share a common philosophy—a commitment to high quality, challenging education grounded in critical thinking and international-mindedness. The American International School of Vilnius is the first international school founded in Vilnius in 1993 to serve the city’s international community as well as host country nationals. It has a dual international accreditation by the Council of International Schools (CIS) and the Middle States Association (US). AISV offers an American/international curriculum with English as the language of instruction for children of ages 3-18 (Pre K through Grade 12). AISV students come from over 26 countries and represent the families of major embassies and foreign investors in Lithuania. Half of hour students are local students. AISV’s faculty consists of qualified U.S., internationally and locally trained and certified teachers.